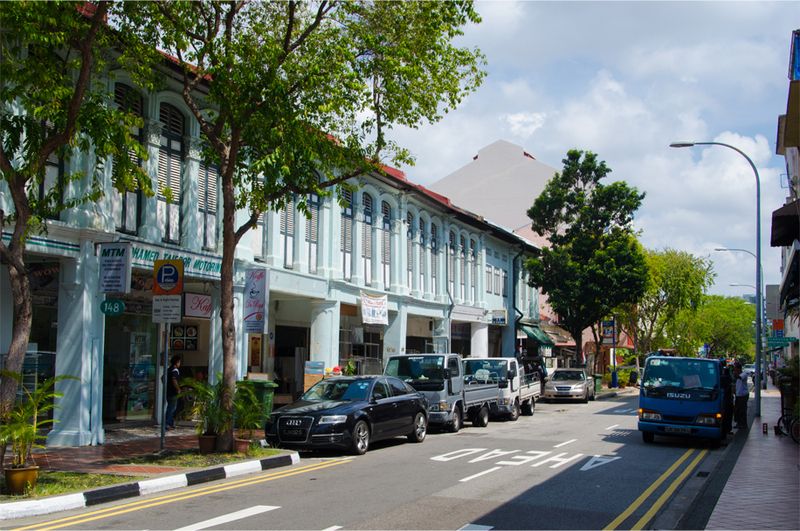 On Joo Chiat Road, it feels as though we are walking through a cross-section of Singaporean society. Within the covered arcades of its painted shophouses, Bama and I duck into Chinese-owned fruit and home ware stalls, past a Muslim-themed restaurant, and a fashion store stocked with hijabs and full-length dresses. Across the road, we are tempted by the display case at Sha Zah – an Indian confectionary selling baked snacks and flaky curry puffs. Opposite Masjid Khalid, the neighbourhood mosque, prominent signboards advertise a wine merchant and “superior kway teow” noodles. We pass shop owners lighting rows of candles on the pavement for the Hungry Ghost Festival, as palls of smoke from burnt paper offerings billow into the air. There are foldable tables with smouldering incense sticks and oranges, alongside heaps of small biscuits, their tiny dollops of icing dyed vivid shades of yellow, green and pink. By day, we rub shoulders with South Asian residents and labourers, European expatriates, retired citizens, and schoolchildren accompanied by their Filipina nannies. 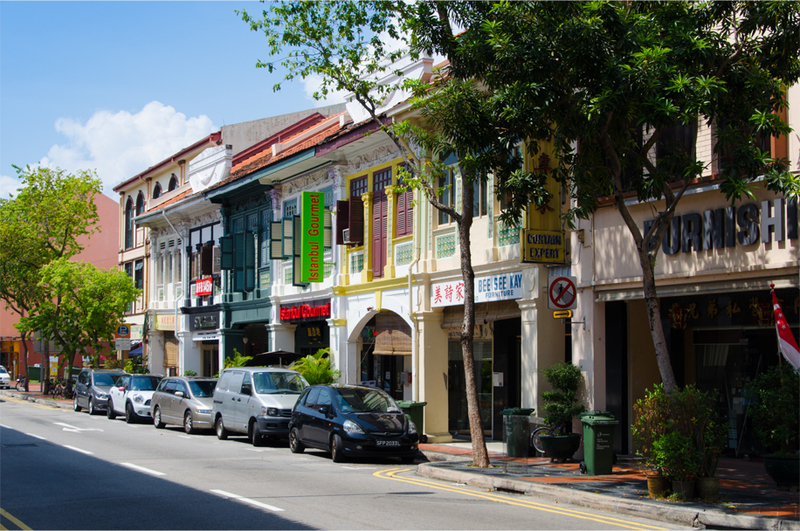 But Joo Chiat Road takes on a different character after dark, when hostesses in heels and tight-fitting black dresses mill about on the pavement, outside its Vietnamese restaurants and a handful of seedy karaoke bars. Barely a hundred years ago, this area was largely a coconut plantation on the outskirts of town, known as Confederate Estate. In time a successful businessman would buy up the land, planting nutmeg and gambier to satisfy the European demand for spices. His name was Chew Joo Chiat. After arriving in 1877 as a penniless 20-year-old from the Chinese province of Fujian, Chew saved enough to start a small business. He went on to make a fortune in trading, before turning his attention to coconut and rubber plantations. A property notice from 1910 shows that Chew also bought a series of building plots in the area. 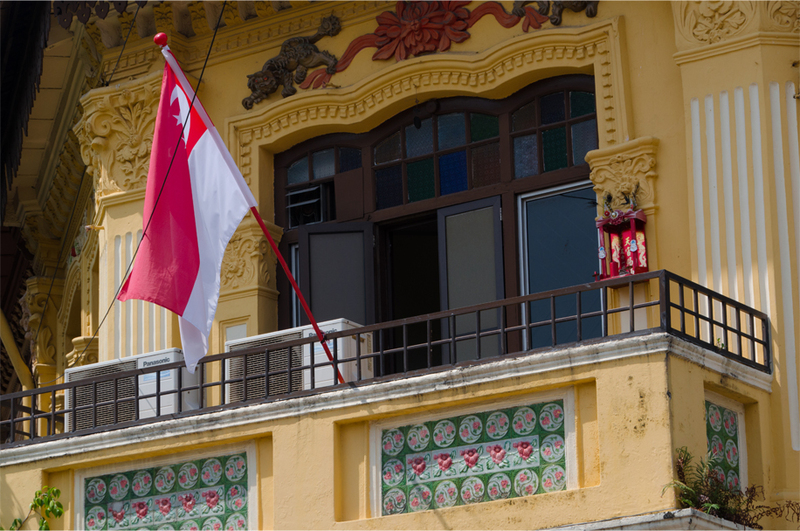 They faced a dirt track running through the middle of Confederate Estate, stretching to the coastline where country houses and seaside bungalows were cropping up for Singapore’s elite. In 1916 the authorities approached Chew to build a paved road for cars, in order to open up a new route to the nearby beach. He agreed, and instead of selling the required land, Chew gave it to the city for free. 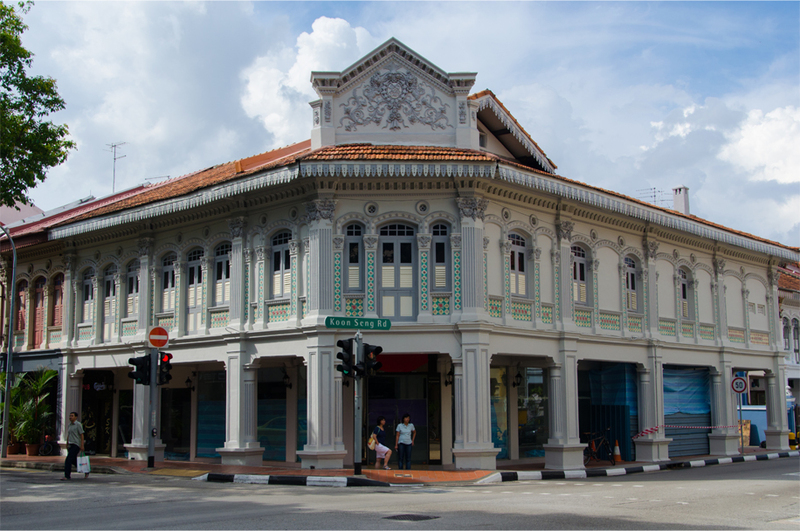 When it opened the following year, the new thoroughfare was renamed Joo Chiat Road to acknowledge his generosity. Over the next two decades, Chew’s coconut plantation would give way to rows of shophouses, terraced houses and bungalows. 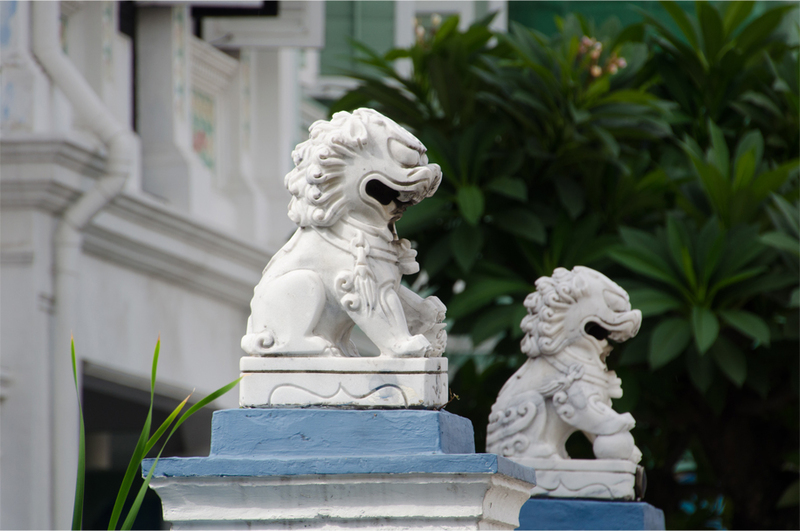 The growing suburb attracted residents from the cramped inner city districts, among them a significant population of Peranakan Chinese. 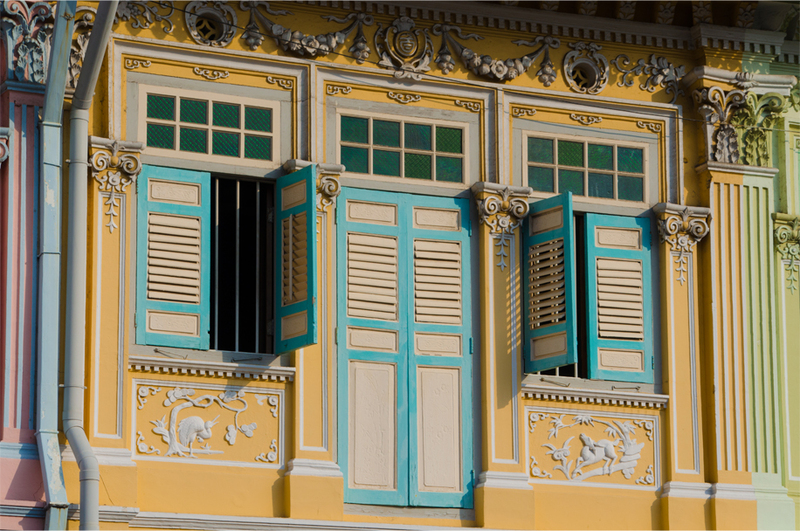 Literally “locally born” in the Malay language, the Peranakan were the offspring of foreign fathers and native mothers. Around the Straits of Malacca they were classified into three groups: Baba Nyonya described those with Chinese and Malay or native Indonesian ancestry; Jawi Peranakan were descendants of unions between South Indian Muslims and Malays; while the Chitty Melaka were of Tamil Hindu and Malay parentage. 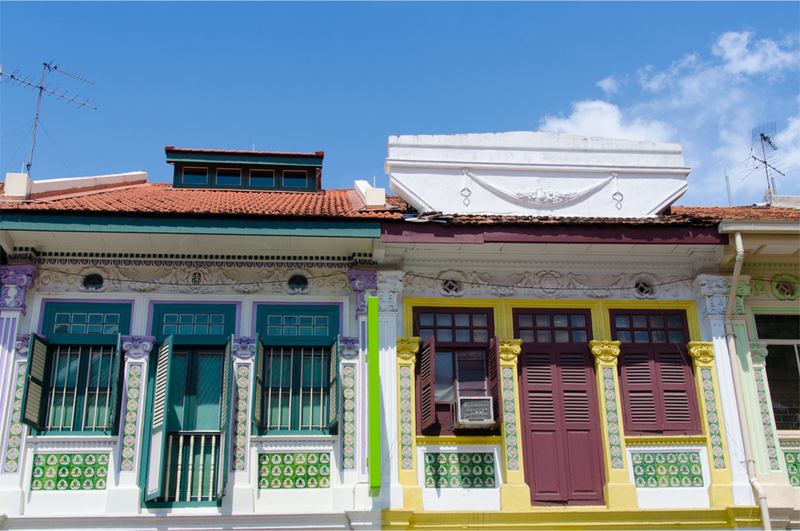 It was the Baba Nyonya who made their mark on Joo Chiat, building shophouses that reflected their mixed heritage in a British trading port. Eaves were decorated with Malay-style woodwork; facades embellished with Chinese dragons, phoenixes and floral patterns; while windows were framed with neoclassical arches and columns. 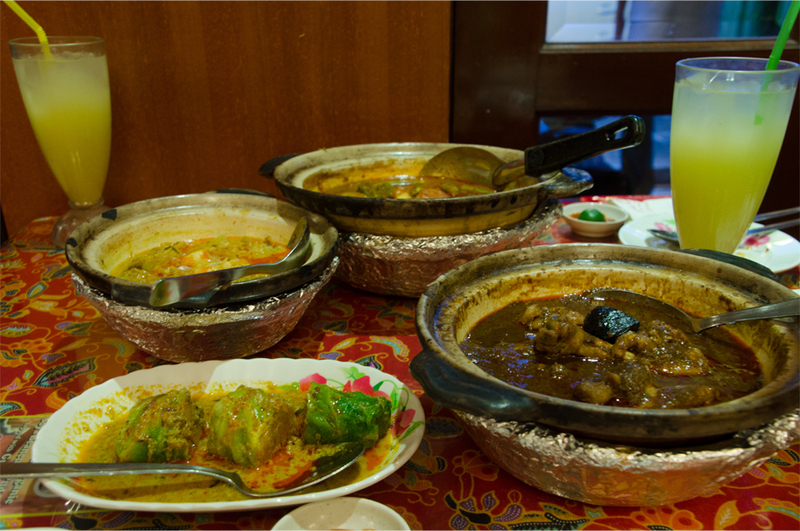 In Peranakan homes, the cultural fusion also extended into the kitchen. On East Coast Road, where the boundary of Joo Chiat blurs with that of neighbouring Katong, Bama and I join the queue at a nondescript eatery where the dishes are served on fast food trays and the wall is papered with portraits of visiting celebrities. 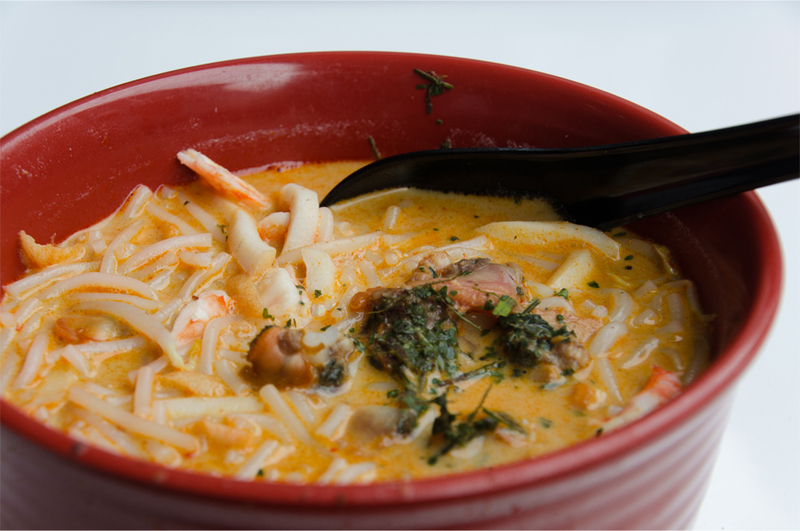 328 Katong Laksa is said to be one of the best places in Singapore to enjoy the noodle soup laksa lemak, and its chef famously prevailed in a cook-off with Gordon Ramsay just last year. We order two sides of otah – fishcake grilled in banana leaves – and indulge in large bowls of the house specialty. The soup base alone is a revelation; I am gobsmacked by the addictive blend of coconut milk, shrimp paste and a complex mixture of spices. 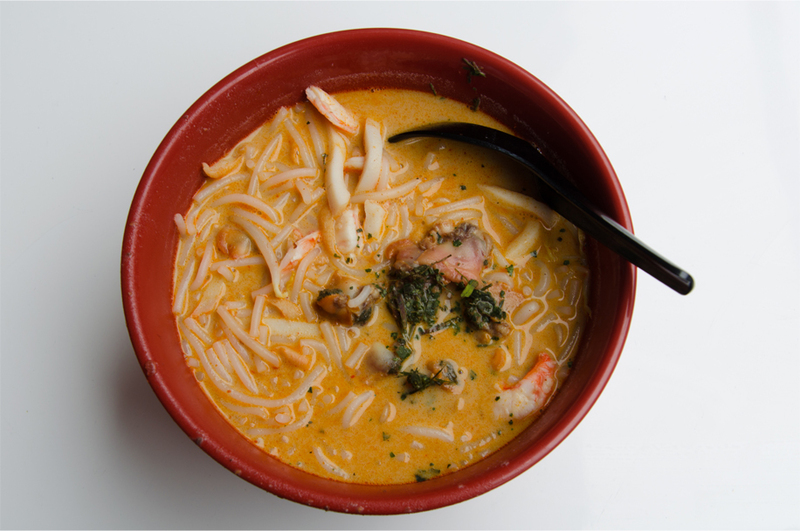 The prawns within are firm and fleshy, while clams lend the dish an extra savoury kick. As for the rice noodles, they are cooked to just the right texture: lusciously soft but retaining a subtle firmness. Bama and I opt for dinner at Chilli Padi, a Joo Chiat favourite with too many awards to count, and we start off by ordering cabbage rolls stuffed with otah and sayur nangka muda – young jackfruit stewed in laksa sauce. For mains we decide on two Peranakan staples: fish head assam curry, whose sour flavour comes from tamarind, and ayam buah keluak – chicken pieces simmered in a thick, aromatic sauce with stuffed keluak nuts, which must be fermented to be edible (raw keluak is fatal to humans). That is just lovely! happy colours! 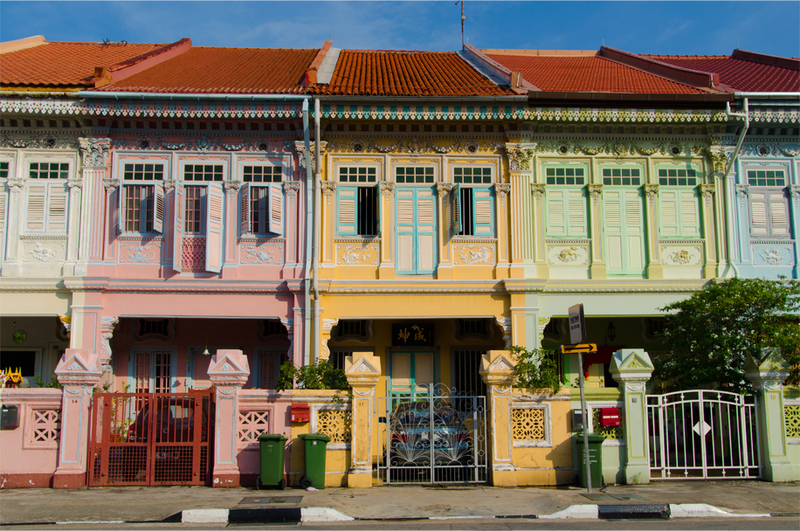 Yes, somehow those houses are colourful and vibrant without being too gaudy! 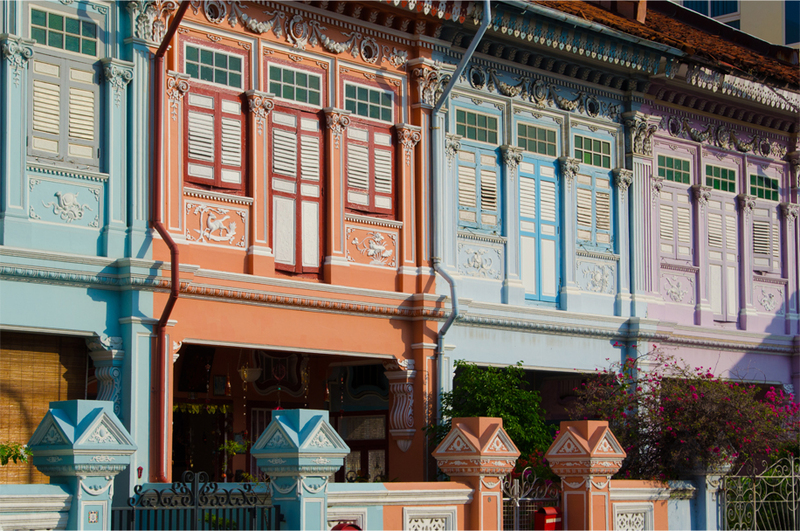 One thing I love most about Singapore is its well-preserved old buildings. I enjoyed the moment when I was looking down the Chinatown and Bugis area. They’re beautiful and soothing! Agreed – they’ve done a lot to keep their heritage. I wish my native Hong Kong had the foresight to preserve more of its shophouses and colonial structures… many of the most beautiful ones have been bulldozed. 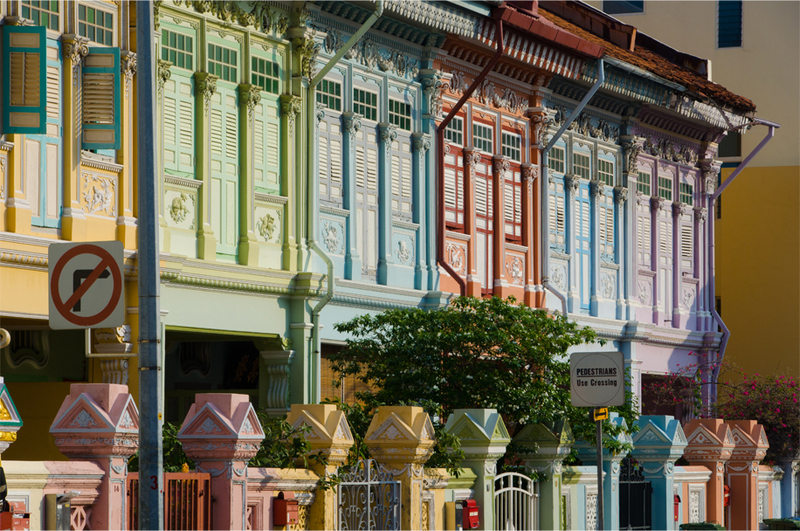 If you hadn’t booked that hotel at Joo Chiat, we would have missed this neighborhood altogether. Not only was it filled with beautiful, colorful and historical shophouses, but also it was where we found some of the best dishes in Singapore. Beautiful photos and well-told background stories, James! 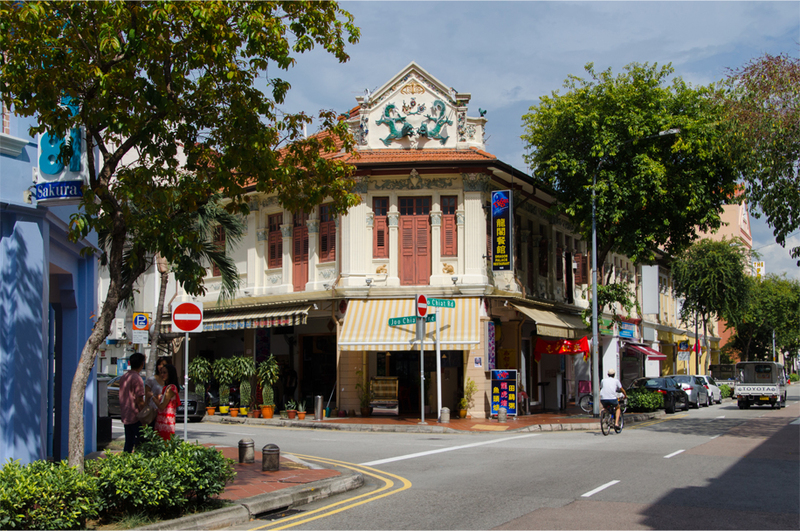 Thank you, Bama – it was a bit far from the nearest MRT station, but Joo Chiat seemed a natural choice for history (and food) enthusiasts like us. The windowless hotel room wasn’t ideal, though it still served its purpose! Interesting post as always. I didn’t make it to this area while I was there and hadn’t heard this story before so thanks for sharing! It’s my pleasure… hopefully you’ll get to visit the next time you’re back in Singapore! Really nice houses, and I guess, the food too! They did a great job of preserving and maintaining those buildings. I couldn’t help going a bit shutter crazy there! I’d love to visit Singapore, especially for the food! Great blog too — I just found it today. Looking forward to reading more soon. Absolutely, the food there is a major highlight! Thanks for commenting. Singapore is beautiful. Absolutely stunning. I love how this post shows not just the architecture of Singapore but they also showed pictures of the food they enjoyed at the eatery, and talk about the people. I just learned so much from this one post about this beautiful culture. I will have to visit one day. Singapore has far more than just theme parks and shopping. Thank you for leaving such a wonderful comment – I’m glad you enjoyed this! wow wonderful photos! Those houses are so quirky & quaint… i love them! They are beautiful, aren’t they? I would love to live in one of those, although it must be quite a commitment to keep them in good shape! Kalpana! I had no idea about this… if only you were there to take us around! 🙂 I would have loved to try Singapore’s best chendol. We must catch up on Facebook, it’s been too long! !